Being involved in your community is all about building relationships and local events are a great way to get everyone together. School fetes, family days, Easter egg hunts, fun runs/walks, street parties, and more – all of these events exist for the betterment of the community. Whether you wish to raise proceeds for a good cause, celebrate something special, create positive change in your community or simply get to know your neighbours, the benefits of hosting a local event are numerous. Bringing members of a community closer together – With greater involvement, interaction and engagement, an organised event can bring members of a community closer together. Regardless of the type of event or the reasons behind hosting it, it can help to increase awareness about local issues by meeting the needs of an ever-changing and thriving community. Just as corporate events aim to establish partnerships and boost team spirit, local events aim to bring communities together and keep the spirits high for local residents. By taking an active role in your community, you can connect with individuals who may enrich your life, as well as develop and nurture relationships that can last for years. Building healthy relationships and enhancing mental well-being – Findings have shown that spending time with family, friends, and others in your community can help to build healthy relationships and to enhance mental well-being. Due to the fact that mental health and physical health are linked, establishing a positive state of mind can ultimately contribute to physical conditions and improve your quality of life. Moreover, local events can strengthen bonds between individuals, helping to cope with and overcome personal struggles. Establishing town identity – Seeing as how every town is unique in its own way, local events can help to keep old traditions alive, as well as to create new ones. Establishing a strong town identity fosters a greater sense of pride within the community, encouraging local residents to take better care of their town and attracting new visitors along the way. And last but not least – it’s fun for everyone! When you attend a local event, you can share your thoughts, ideas and goals with individuals across cultures. In doing so, you have the opportunity to grow your network and build relationships that add value to your life. At the end of the day, the purpose of hosting a local event is to bring together members of a community and create memorable moments through shared experiences. 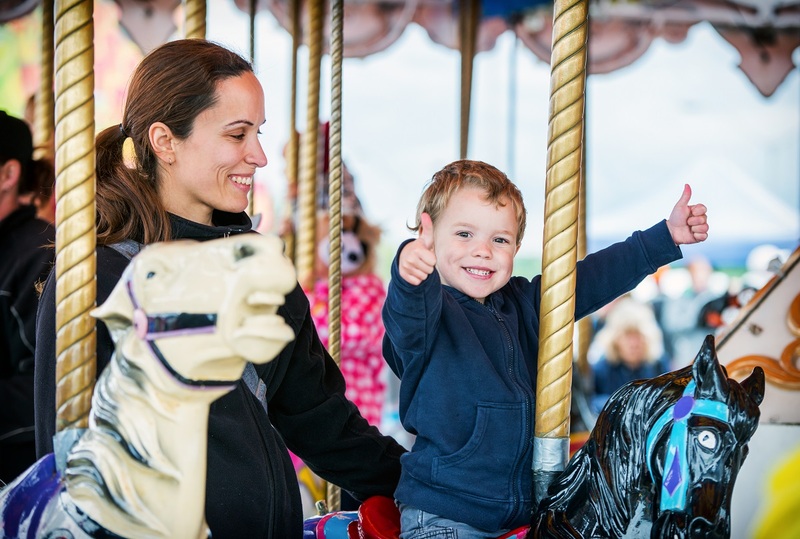 If you are looking to bring fun to your next local event, you can count on Joyland Amusements – Carnival Rides, Side Show Games and Carnival Food Hire to bring you the best amusements in Australia! As one of Australia’s largest outdoor amusement companies, Joylands aims to provide the general public with high-quality family entertainment. From festivals and fetes to corporate events and fundraising events, we have the equipment, the management, the staff and the experience to provide a captivating carnival area with an appealing design and safe exciting rides, including community and amusement rides. Unforgettable events, large or small, serve to ensure that the communities we share are pleasant places to live and work in, as well as ones that members are excited to be a part of. Joylands can make your next local event the carnival that everyone loves and leave a footprint in your community. To learn more about how Joylands can help you bring your community together, contact our friendly staff today!